CSA Ocean Sciences Inc. (CSA) conducted assessments of the potential environmental impacts associated with Navy aircraft, surface vessel, and submarine operations off southern South Carolina, Georgia, and northeastern Florida. 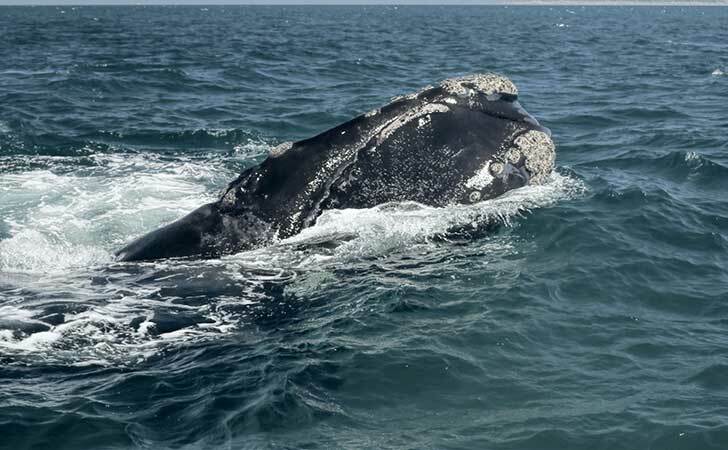 The assessments focused on an aerial survey program designed by CSA to collect data on the distributions and relative abundances of endangered and threatened species, with particular emphasis on the >North Atlantic right whale (Eubalaena glacialis). Work began with a literature and data search and preparation of an Aerial Survey Plan. CSA conducted aerial surveys for marine mammals and turtles annually for 3 years from mid-October through mid-April from Charleston, South Carolina to Cape Canaveral, Florida. The surveys included reporting via VHF radio the positions and behaviors of all right whale sightings to the Navy for entry into the Early Warning System database and photographing right whales so that the photographs could be used to identify individuals based on unique characteristics. CSA’s annual reports summarized the aerial survey results for each year and included maps of marine mammal and sea turtle sightings. Navy operations were described and potential interactions with marine mammals and turtles were evaluated. Project information was incorporated into a geographic information system (GIS). CSA submitted its assessments, sightings data, and GIS information to the Navy on CD. At the project’s inception, CSA built on the experience gained during the conduct of the months of aerial surveys for the SEAWOLF Shock Trial EIS and recognized the need for improvement in the technology used to acquire the aerial survey data. CSA innovatively implemented a significant improvement in the then state‑of-the-art aerial sighting data collection software to facilitate the real‑time collection of the data onto laptop computers. This process greatly facilitated the entering of the marine mammal and sea turtle sightings into the computerized database used to map the populations and estimate their densities using GIS. Upon completion of the project, the resultant data sets were prepared for external use and submitted to both the National Marine Fisheries Service and the University of Rhode Island on the Navy’s behalf.